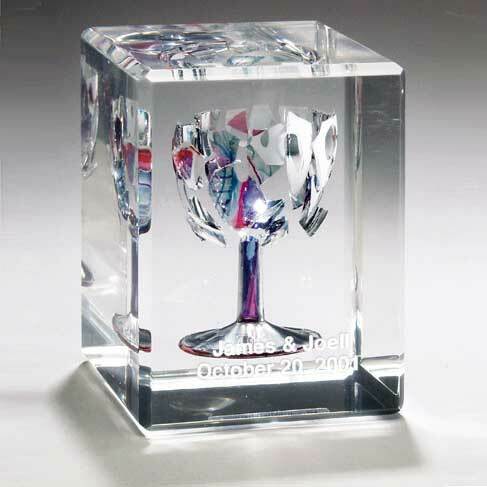 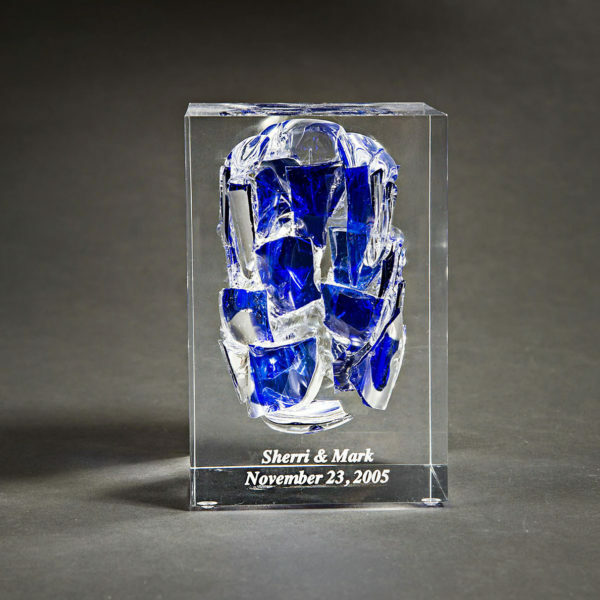 The Rectangular Wedding Glass Cube, makes a beautiful, one-of-a-kind keepsake and instant heirloom for the bride and groom, one to be treasured all their lives as a memory of their special day. 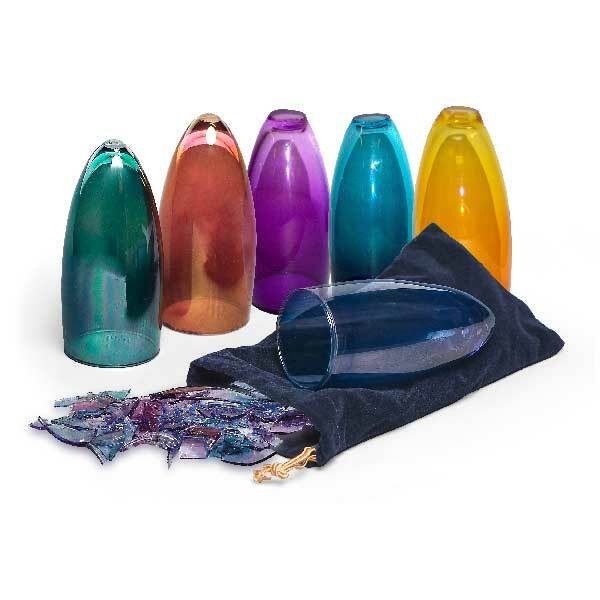 When we receive glass shards that are too small to be reconstructed in the original glass shape, we recommend our “Random Design” Cube. 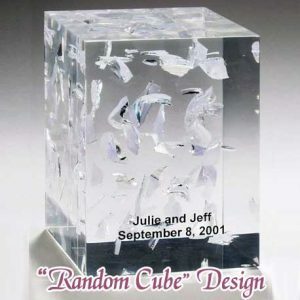 The glass shards are embedded to look like snowflakes frozen in time.